Get more done with more space to work with the AmazonBasics Three Piece Glass Desk. The desk is a three-piece modular desk that has a slide-out tray on one side for storing your keyboard. It has a smooth, tempered glass work surface. The Ashley Furniture Signature Design – Baraga L-Shaped Home Office Desk is a modern corner desk perfect for saving space while maximizing your work area. The desk features an all-white metal frame that upholds a tempered glass top for a sleek and modern look, ideal for any office space. 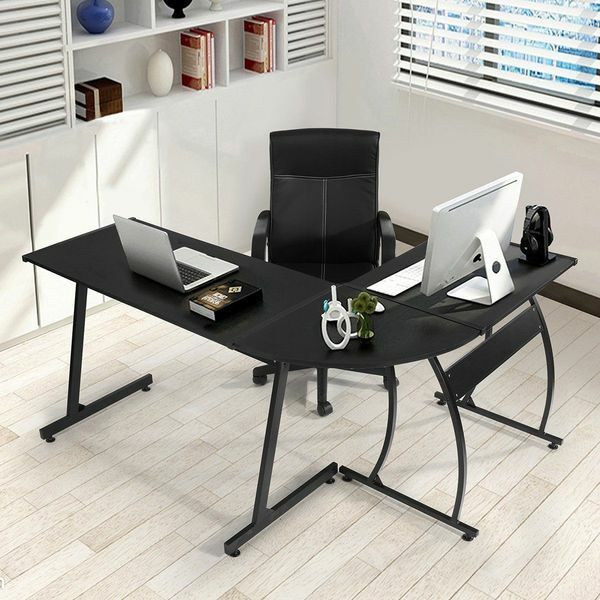 Able to fit more than one monitor, speakers, books, desk decor and more, the GreenForest L-Shape Corner Computer Office Desk is a large corner-style desk that is black in color, ideal for fitting in with any decor. The piece is made with engineered wood and can be arranged how you prefer to suit your space. 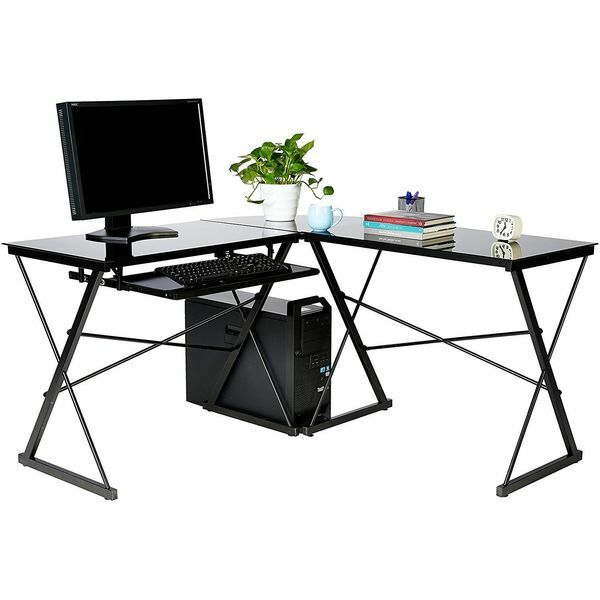 Save space and double your productivity with the SHW L-Shaped Home Office Corner Desk. The corner desk makes it easy to tuck into any nook in your office and features a sturdy steel frame given a powder-coated finish and a tempered safety glass work top. 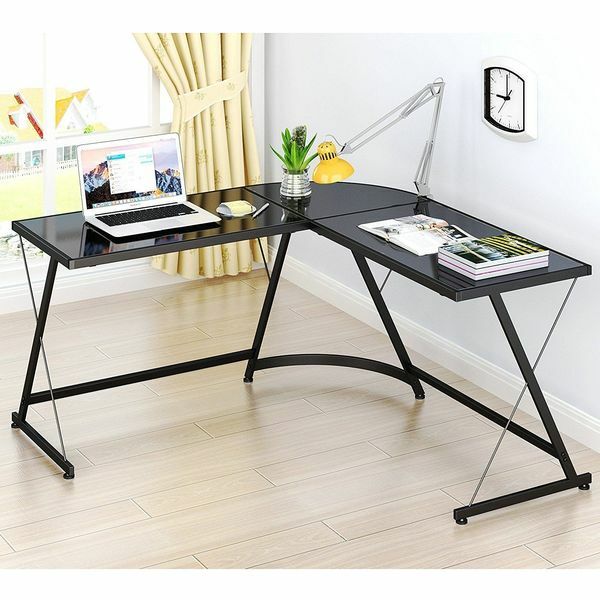 The simple black SHW L-Shaped Home Office Corner Desk is an ideal addition to an office that needs greater work space without sacrificing a lot space in the room. 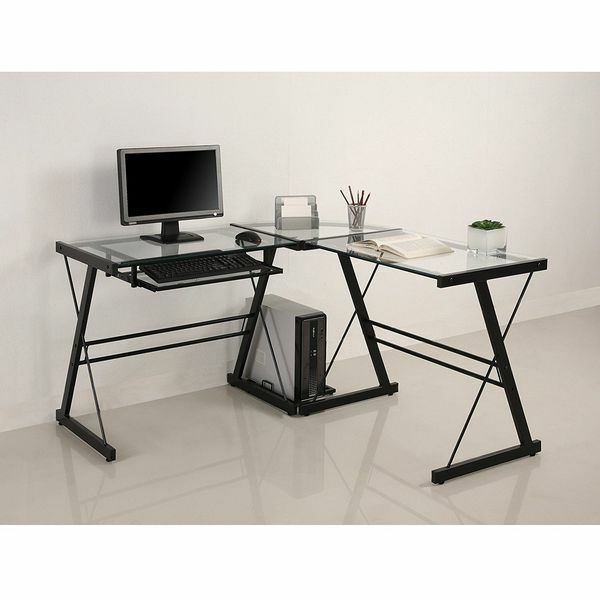 The three-piece corner desk is made with a steel powder-coated frame and features tempered safety glass on the desktop. Built-in tray slides out for your keyboard to sit on. With its blend of glass and metal, the Walker Edison 3-Piece Contemporary Desk is a beautiful modern corner desk suited for any work space. 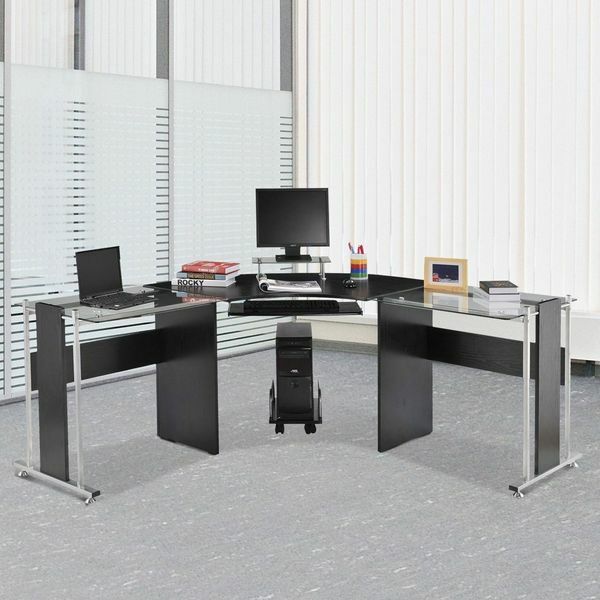 The desk features polished, beveled tempered safety glass supported by a durable steel frame given a powder-coated finish. A CPU stand and sliding keyboard tray are included.